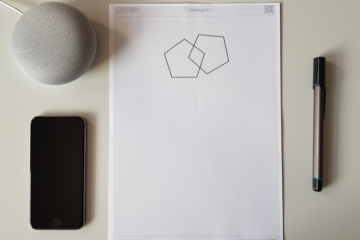 Traditionally neurocognitive testing is done using pen and paper, which is both expensive and time consuming and often leads to a biased outcome. 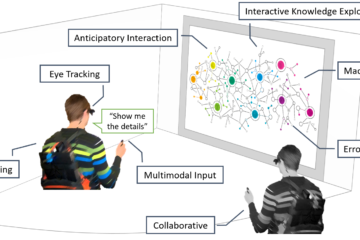 As part of the Intera-KT project select and digitize existing cognitive tests and support the assessment of cognitive impairments through automated evaluation of different input modalities recorded during the assessments. Here we record and analyze electrodermal activity captured by the BITalino sensor board. Using machine learning methods, we aim at analyzing the sensor data in order to support objective assessment of cognitive impairments. We focus on the integration of EDA for a potential inclusion of open sympathetic arousal, stress and affect (e.g., emotion / motivation through autonomic nervous system signals) into the screening test. 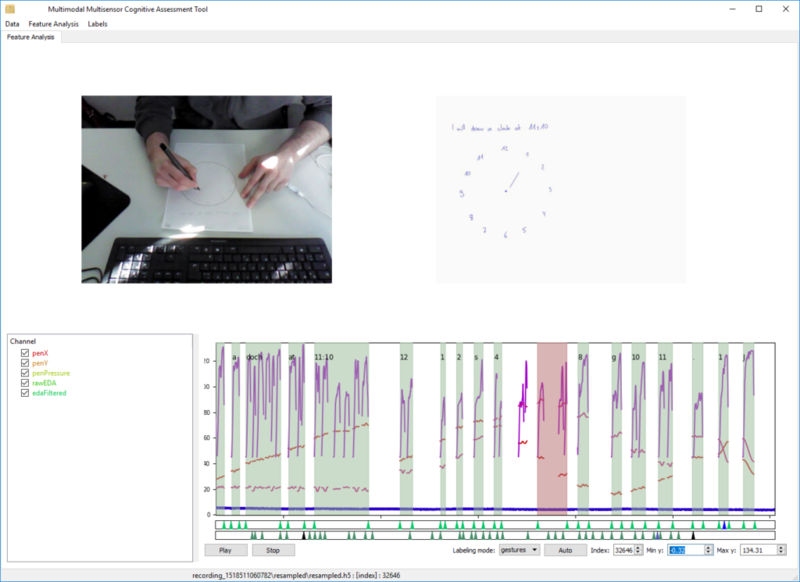 To include EDA into future digital pen based screening methods is very interesting because it is a process tracing method (unobtrusive and continuous measure) for neural activity and can reflect psychological processes, but context and sensor fusion is needed because it is a multifacetted phenomenon (sensitive but not specific). 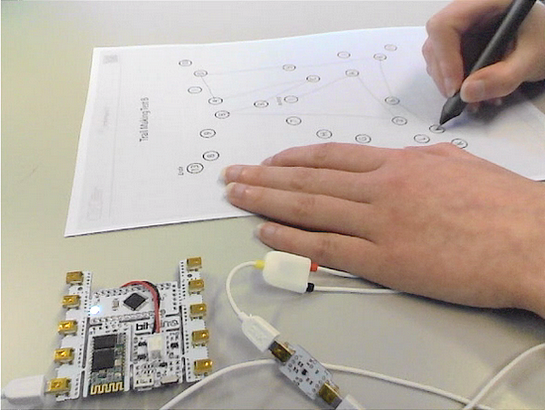 The digital pen-based environment provides such a sensor fusion context for its interpretation. 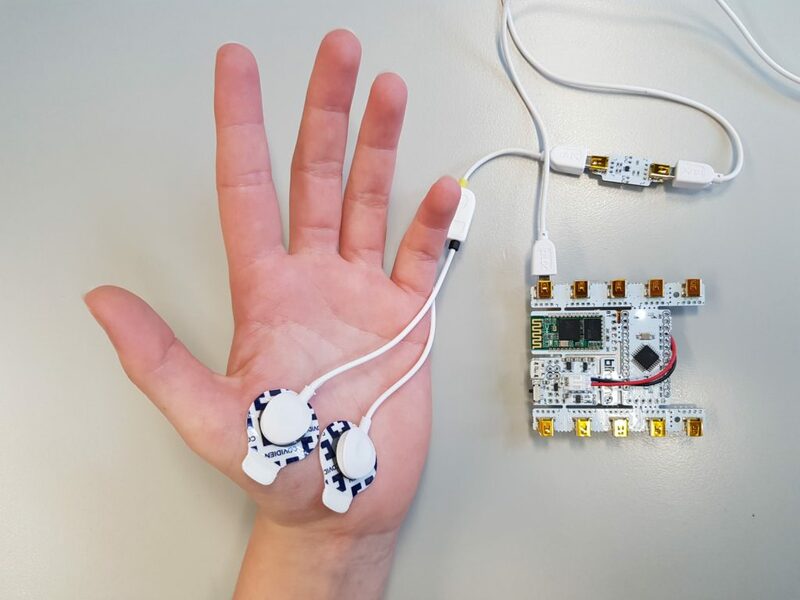 The EDA data is measured using the BITalino (r)evolution, an inexpensive microprocessor board kit with sensors for medical measurments. It can measure EDA (skin conductance), EEG (electrical brain activity), EMG (electrical muscle activity), and ECG (heart activity). 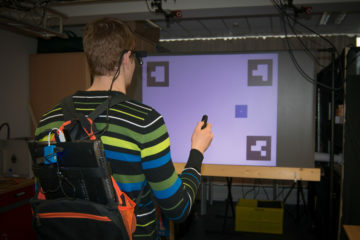 The device communicates with a connected computer via bluetooth. Skin conductance includes mainly two components: skin conductance level (SCL) which is the overall conductivity of the skin over long intervals, and sharp phasic peaks called skin conductance response (SCR) that can be related to a stimulus, or just an indication of higher level of spontaneous arousal activity. These SCRs are measured using electrodes attached to the palm of the hand while applying a small constant voltage. Their features are then extracted, including: onset latency, the rise time, the amplitude, the recovery half time and the frequency.